No job is too big or too small. We have the experience to handle your project, and we strive to exceed your expectations. 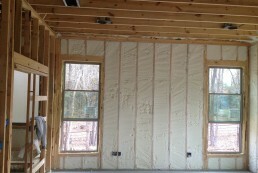 Spray foam polyurethane insulation is so cost effective it has the shortest payback period and the highest return on investment over any other Energy Star rated renewable building product. Within 1 to 2 years spray foam insulation will not only pay for itself but will offer year after year returns on your investment. A well-insulated home, particularly one that is insulated with fiberglass insulation, whether it is blown-in or bat, is one of the most efficient ways of saving money on your utilities. It is still the most widely used method of insulation and will make your home more efficient and comfortable. At the heart of our business model is top-notch customer service. We want to make sure you receive the best products, service, and professionalism possible. We strive to make sure your experience with us will be enjoyable and hassle free! Contact us today for more information. we work for your comfort! We are professionally certified to use and install polyurethane spray foam. You should not hire ANYONE who is not certified to insulate your home. Not only is it dangerous to you, but an unqualified technician can cause costly repairs down the road. Ask about our certification and insurance. We will work hard to provide you the excellent service you deserve, and we always strive to beat our estimate. If we believe the job will be outside your intended budget, we'll let you know ahead of time. Providing expert analysis and full disclosure is at the heart of our business model. 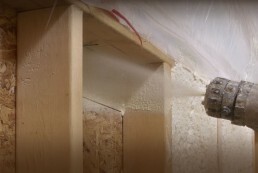 We have completed hundreds of insulation projects and have the experience, knowledge, and expertise to ensure your residential or commercial spray foam project is completed on time, and within budget. We guarantee that spray foam insulation will add comfort and value to your home while providing a barrier against the elements during all seasons. Your home is an investment, and there is no better cost effective way to add value to your home like spray foam polyurethane. 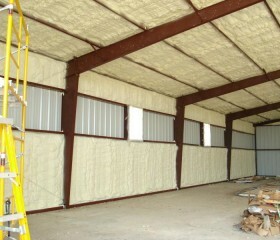 "Recently I used Rowland Insulation for an office project I was hired to build. 35 Years as a contractor, it was refreshing to run across a... "